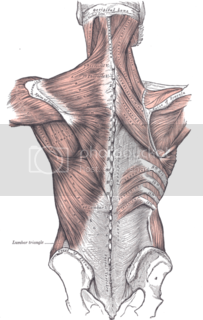 A Pain in the Neck – and Back! With the rise of obesity and the prevalence of sedentary lifestyles in the U.S., it’s little surprise that back problems are common in this country. And, sure enough, health expenditures for these problems are going through the roof. According to a newly published research analysis, expenditures for neck and back treatments have risen a whopping 65% since 1997! But here’s the kicker: with all the extra money insurance companies and individuals are paying for back related treatments (surgeries, pain meds, etc.) patients are actually getting less relief. The research comes out of the University of Washington at Seattle and is published in the Journal of the American Medical Association. We can’t resist saying that, while a 65% increase in overall expenditures seems more than excessive, the 171% increase in pharmaceutical expenditures for neck and back treatments struck us as outright extreme. (All right, that wasn’t the word, but we’re trying to be polite.) But again, it’s not much of a surprise, is it? The study found that the annual bill for spinal treatments in this country totals $85.9 billion a year. The cost for cancer treatment: $89 billion. This is the kind of news we shake our fists at. Of course, there are numerous legitimate, non-lifestyle reasons people require spinal care (car accidents, injuries, pregnancy and childbirth related strains). For those with lifestyle related back issues, spinal treatment can allow them enhanced opportunity to pursue fitness goals, etc. Though we’re not Rodney Yee, we recognize that spinal health is essential for overall wellness. But we would also argue the reverse: overall physical condition is important for spinal health. When treatments support a person’s ability to lead a healthy life, they can make a truly positive difference. As this analysis shows, our current treatment situation in this country isn’t doing the job. Treatments, pharmaceutical or not, shouldn’t be stand-ins for healthy choices. Ideally, treatment should complement our own efforts and act as a temporary “support” to get us back on track. We don’t gain much from being weakened, or worse yet, infirm. We don’t gain much from being poorer after the bills come due. And we certainly don’t gain anything from, at the end of the day, still being in pain. The question is, then, who does gain? I wonder when weightlifting/weight-bearing exercise will finally be accepted as great preventative care. I’d like to explain my understanding of back pain (and most chronic pain in general), because I’ve had it for most of my life and recently got rid of it. It’s becoming increasingly common, and as MDA mentioned, conventional treatments are not very effective. The reason is that it’s not a physical problem, but a psychological one. It’s also easily cured in most people. Dr. John Sarno, professor of clinical rehabilitation medicine at NY University, has pioneered this work. He has written a book called “Healing Back Pain” that has cured many people, including myself. Just read the reviews on Amazon.com. If you have back pain, this will be the best $10 you’ve ever spent. This applies to most cases of back pain, plantar fasciitis, carpal tunnel syndrome, fibromyalgia, sciatica, neck pain and any other kind of mysterious chronic pain. It also explains why these are so refractory to conventional treatments. Don’t get me wrong, I’m all for strengthening the back through weights, yoga, weight loss etc, but these things don’t address the root cause of the problem. Take my word for it, I’ve tried it all. Thanks for the suggestion. I’ve read about the book and wanted to get it. I’ve been through occupational therapy, chiropractic treatments and a special back strength training program supervised by physical therapists and an M.D. Things got better, but I still deal with pain on a daily basis. I’m intrigued by this approach, and it’s good to hear a real person’s experience with it. I’ll have to check out the reviews you mentioned. I have to second Sarno’s work. The ideas in his books fixed some back pain I used to have, and together with proper exercise keep me pain free to this day. Buying either “Healing Back Pain” or the book that followed it is well worth the money. I am a 38 year old male and I have been an enthusiastic disciple of the primal lifestyle for the past 2 years. The improvement in my life has been remarkable. Unfortunately I have been afflicted with intermittent bouts of back pain and sciatica since my mid 20s. despite my healthy lifestyle and 3 years of pain free existence, the sciatica re emerged with particular severity earlier this year. After 4 months of multiple therapies, I was again staring at the proposition of surgery. Thankfully, I gained enough clarity one evening about 3 weeks ago to plug ‘sciatica’ into the Marks Daily Apple search engine and read the blog post recommending Dr John Sarno’s book ‘Healing Back Pain’. Did you know when pain acts out that your backers will kick in? The backers are your emotions. The devilish radicals of our human makeup can lead us to consequences we ordinarily would not accept. Sometimes the radicals are angels that work as guiders to back our every step. Back pain and emotions go hand in hand, since when one experiences pain it causes threat to the emotions. When the emotions are threatened, “Look out Henry,” John Doe is in the house. Back pain has symptoms, which include depression, irritation and hopelessness, which starts with back pain and ends with emotions. The person will often accept the proposal that the emotions deliver, leaving them to believe that no help is present. In most back pain instances however, help is sitting in front of you. The rule of thumb is to listen, learn, and take action. When you learn all you can about your condition, you can move to accept its symptoms and take action to resolve your problem. In fact, the information you gain can work in your favor, since you may learn strategies that relieve your pain without costing you a fortune.